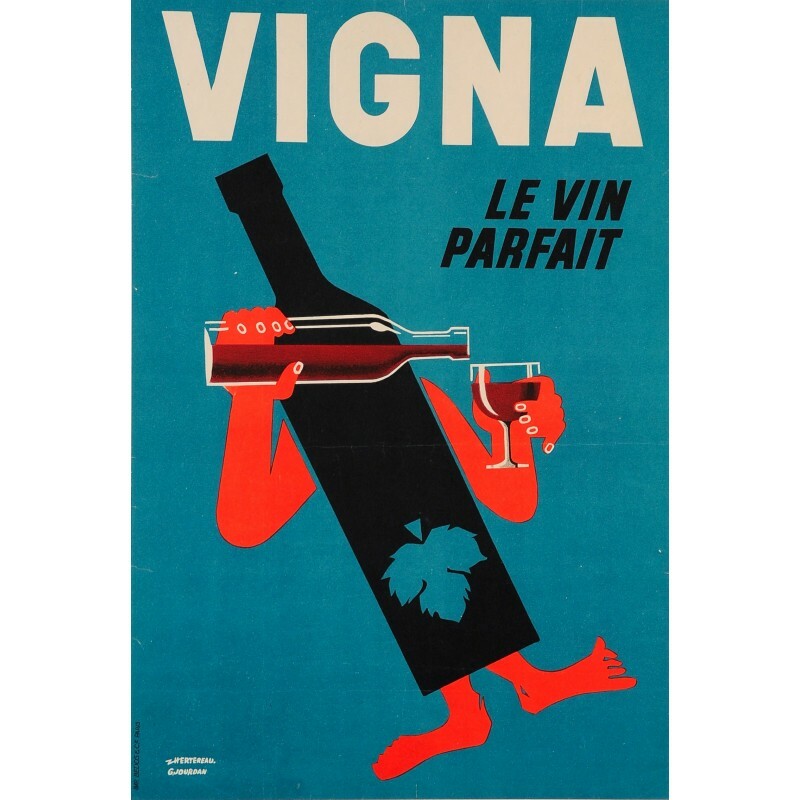 A whimsical poster for Vigna, le vin parfait (the perfect wine!). Realized ca. 1940 by Hertereau and Jourdan in a style typical of the period. The brand name Vigna is a derivative of the French word “vigne” for vineyard.